Precious probably does more to propagate stereotypes than crush them, but it all comes packaged in a fairly moving story. I was engaged by the film and found it enjoyable to watch although several aspects were annoying and pulled me out of it. It isn't great but it definitely isn't horrible, therefore I will give it a 6 out of 10. 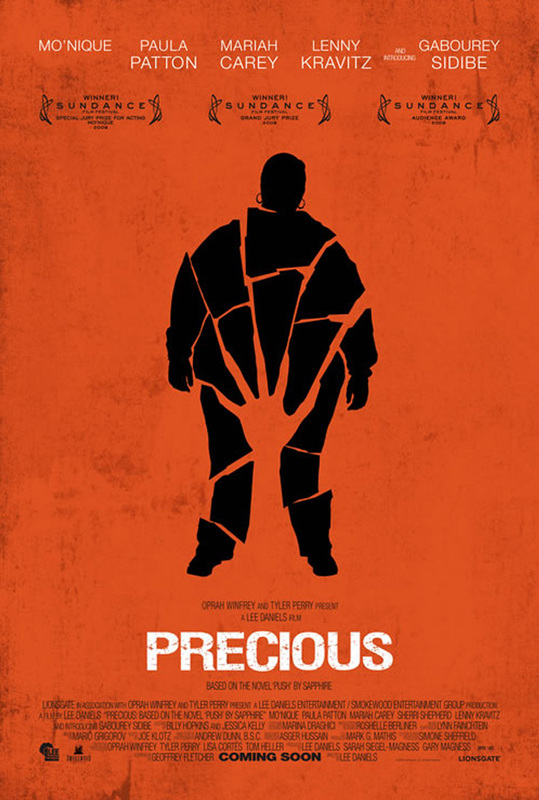 Precious was billed as an influential, emotional piece of art that will change the world. The actors and actresses are doing their duty as african americans by appearing in a film that is going to do so much to unite this country. I might be overstating it a bit, but these ideas were put out there to some extent. Going in I thought this was going to be a story of overcoming adversity to triumph in the end. It could be described as such, but it wasn't nearly as clean and sweet as I thought it would be. The film is more about ignorance begetting ignorance, and how that cycle ends when everything says it should continue on. The core message of this film was a lot more effective than I thought it would be. However, I had quite a few problems with the execution. When Precious is forced to endure especially tough moments in her life the film cuts to these fantasy sequences where she imagines herself as a movie star or a thin white woman. I understood the point, they just didn't work very well for me. It took me out of the moment and made the film seem a bit corny. I also had a problem with her classmates at school. None of them displayed any drive or motivation, and they all lacked the ability to take anything seriously. While they were on screen the film felt very disingenuous. Precious gave birth to a girl with down's syndrome. What is her name you ask? Well they call her Mongo of course. This just seemed silly to me. There was a sequence in which Precious is hungry but there is no food at home. On her way to school she stops at a diner and steals some food for herself. This could have been a tragic moment that really drives home her situation. However, they chose to have her steal a bucket of fried chicken. We get to see her running down the street jamming fried chicken into her mouth, which effectively turned it into a stereotype joke. I mean really... did it have to be fried chicken? At the start of the film I felt like Precious was going to be a rough time for me. There were a lot of moments that felt overly dramatic and... well... "fake". Through the middle of the film I started to buy into it a little more. By the end it turned out to be a pretty decent film. I didn't have the strong emotional reaction that many have had, but I can definitely see how others feel that way. Aside from a few things that kept pulling me out of the drama, this film was well made and enjoyable to watch.